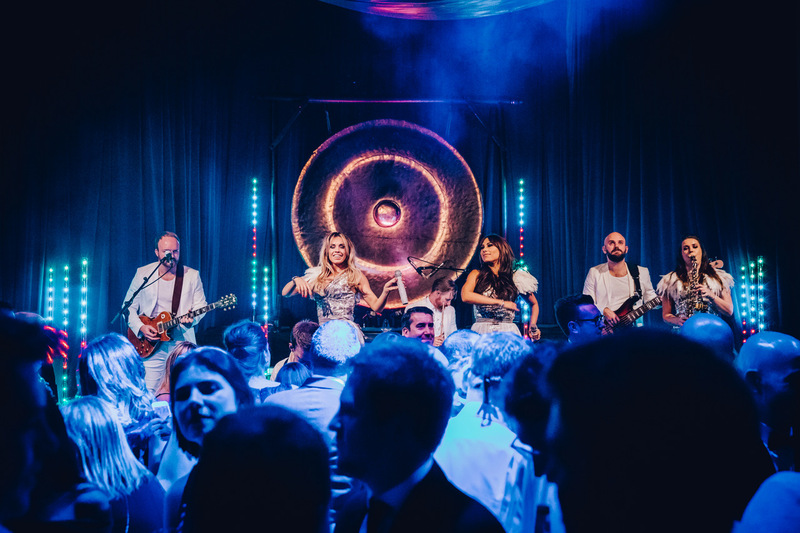 When it comes to offering high-end quality and bespoke packages to best suit your event, there is one band that stands out amongst the rest. Globally successful party band iPop pride themselves in offering an unbeatable live music experience; whether you book their 4 or 5-piece band or treat your guests to the works – a stage full of glamorous dancers, percussionists and incredible musicians – rest assured you will go down in history as throwing the best party this world has ever seen. Smash hits by global superstars, including Beyoncé, David Guetta, Jess Glynn, Florence & The Machine, Calvin Harris and Daft Punk, are given a glossy iPop treatment that will bring your party to life. 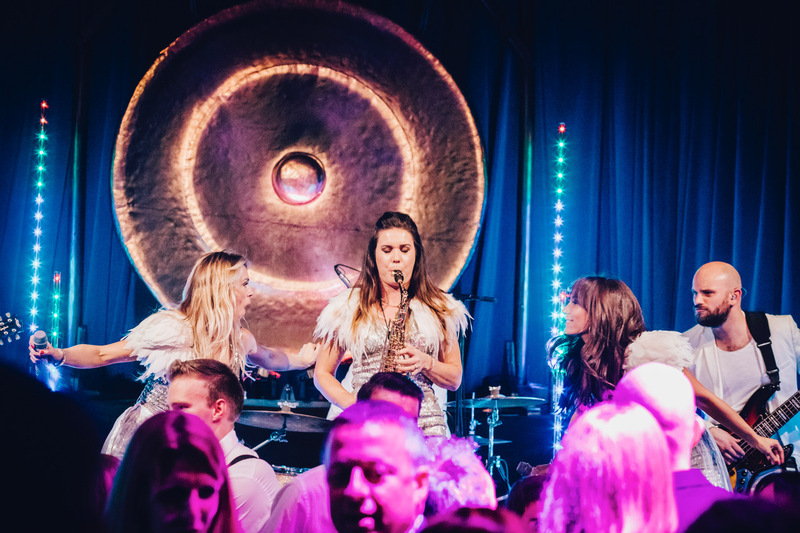 Whether it’s an intimate wedding reception or an arena-filled product launch, iPop are undisputedly the premier band for wedding and corporate entertainment. With a plethora of line-ups to choose from, it doesn’t matter which option you choose, you’ll always get a band that turns up with a passion for what they do and this is reflected in the way they perform. Sometimes, you have to remind yourself you’re witnessing a band play live as it feels like a mastered recording – they’re that good. They bring a quality to your wedding that’s hard to match, and it means your party will go down in history for all the right reasons. When it comes to their playlist, iPop can play some of the biggest smash hits from all over the world. We’re talking Beyonce, David Guetta, Michael Jackson, Katy Perry, Rihanna, and more! Just take a look at their full playlist further down this page to see the sheer variety on offer for your big day. If you want to listen to their live performances, then check out the videos or audio links that are also present on this page. If you want to hire wedding entertainment that’s guaranteed to please, then get in touch with Music HQ today. Hit the enquire button below, and you can start booking iPop for the best day of your lives. Trust us, it will be the best decision you’ve ever made. 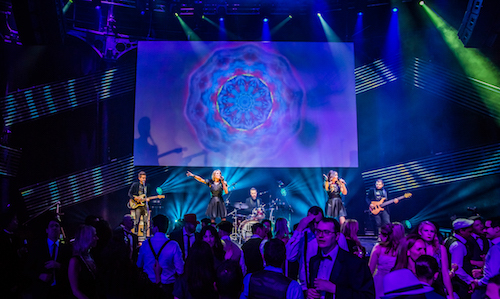 The secret to a great corporate event is ensuring you hire the best entertainment out there. 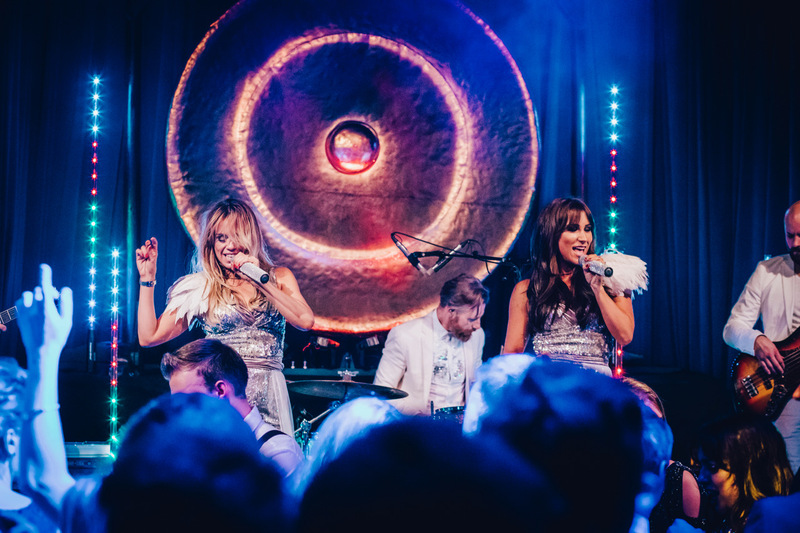 If you’re looking for a top quality act that will keep your guests happy and add some sizzle to your function, then there’s only one band you need to consider; iPop. 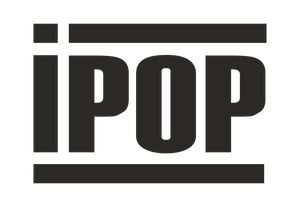 iPop is a pop band that’s had fantastic success working the corporate party entertainment scene. They bring live music to your event and put on a show that will set the place alight. Everything is specially designed by the talented team to make sure each performance is better than the last. They’re the perfect awards ceremony entertainment or after party band for a business event. One thing you always get from iPop is a proper performance that lives long in the minds of your guests for years. There are many different options if you want to hire iPop for your corporate event entertainment. They’re available as a 4 or 5-piece band, or you can go ahead and book the full package. 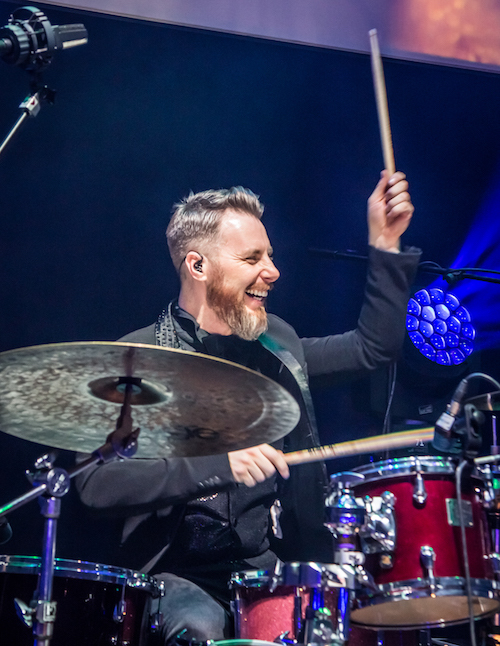 If you choose either of the first two options, then you’re treated to a live band that delivers outstanding music and some truly fantastic songs. Their vocals are second to none, and the performances from the musicians are out of this world. But, if you want to take things a little further, then the full package offering gives you the works. We’re talking a stage packed full of different performers, with dancers complimenting the pop music and really creating an immense scene. There will be strobing lights, beams, and a whole host of additional features as well. Your corporate event will stop feeling like any old function and start feeling like a full-blown live concert! This option is ideal for much larger corporate events that need a little bit of extra effort put into them. Price from £1760.00 + VAT based on 4 members performing 2 x 60 minute sets. The band always supplement their live performances with FREE DJ music when they are not performing up until midnight. This option means a band member is always present whilst the music is running, allowing you to request songs and tailor the music to keep the dance floor pumping. If you’re looking for a complete package, choose one of our amazing professional DJs. For iPop to learn and perform an additional song request. Female Vocals, Saxaphone, Trumpet, Percussion etc. A truly bespoke version of your special song to keep forever. Recorded, mixed and mastered in a professional studio set up. iPop were superb! They ended a fantastic night in style. Every tune they played had the dance floor bouncing. Highly recommended for any party. Top band! Thanks, Steven. I would like to say a big thank you to all of iPop for delivering yet another incredible performance for us at The Royal Variety Performance After Show Party. The dance floor was once again packed so thank you for this. Yours Sincerely, Giles. I just wanted to say a HUGE thank you for your brilliant performance at our wedding! 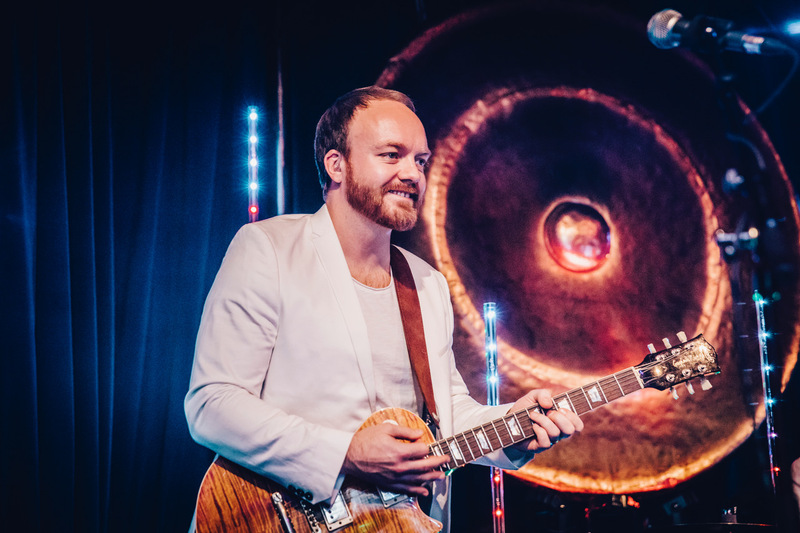 We approached iPop because we were looking for a Cosmopolitan, Cool, Modern party band for our wedding which took place in December 2014 at the Oakley Court Hotel in Windsor. iPop helped us by creating a set list that suited both our tastes in music (Rock and Pop) and their performance was amazing, everyone was on the dance floor and we received so much positive feedback from our guests. What we especially liked was that the whole band are very talented and Suzanne’s vocals were fantastic! They are incredibly easy to deal with and it was a pleasure to work with them. I would recommend iPop to anyone who needs a party band who are professional and really know how to get the audience up and dancing! We absolutely loved having you play at our wedding. Everyone commented on how fantastic you were and that it was like being at a gig!! Your stage outfits were fantastic....so professional!! You absolutely exceeded all my expectations. We were gutted when you had to stop playing at midnight!! I could have danced for another 6 hours!!!! For such a great band I think that your prices are very reasonable! We will definitely recommend you to everyone. You absolutely tore up the dancefloor with your performances!! Everyone was up and dancing the whole night. I can not thank you enough for the first class performance you gave! We really felt like we were at a gig or festival. My only little thing is that I wished that you could have performed each of your sets for longer!! Because you were sooooo good I wanted you to perform for the whole 4 hours! You really created an amazing atmosphere. Thank you once again!! With love & best wishes, Rhiannon.